Older Adult Services seeks to assist consumers in recovering and maintaining a physical and emotionally healthy lifestyle so that they are able to remain in their home or community based housing for as long as possible. 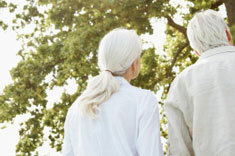 The Older Adult Services Programs provides services to older adults, age 60 years and above. Services focus upon wellness, recovery, and resiliency. Older Adult Services provide assessment and treatment focused on consumer’s recovery goals, assist with housing, provide medication services, evaluate placement needs, consult with primary care physicians, and link to health and other mental health specialty services. Peer and family support services are also available. Specialty Multidisciplinary Aggressive Response Teams (S.M.A.R.T) provide outreach and engagement to the at-risk population for homelessness, institutionalization, and abuse, who, under ordinary circumstances, would not receive services. Services are provided by a multi-disciplined staff with specialized training in evaluating and addressing both mental illness and issues of aging. Services can be provided in the client’s residence. Interpreter services are available to clients that need them. Older Adult Service programs are available throughout the county. Please refer to the list below for the most accessible clinic.